The concept of “Divine Dog” Training came to Karyn as she completed writing her first book, “Dogs Do Go to Heaven!”, in which she shares inspirational and very personal details of how God has showed up in her life. Experience has been her best teacher. Karyn often teaches her students that the root of the word “obedience” means to listen. To be obedient to God, one must listen to one’s own heart. This is how the Divine Universe speaks to us. Trusting in intuition and life’s lessons has naturally flowed over into Karyn’s success as a dog trainer. There are only a handful of people who have been training dogs professionally for as long as Karyn has. “Professionally” is the key word here. This has been her livelihood, working at it full time since 1977. She was a professional dog trainer before it was really even known as, or considered, a profession. As a young child, Karyn moved with her family from Iowa to India, where she was deeply affected as she experienced the harsh realities and living conditions of that country. She was left with a burning desire to help others, and to make a difference in the world. Those experiences, along with her college studies in behavior modification, have also contributed to making Karyn the trainer she is today. Much of what drives Karyn is her commitment to saving pets’ lives. Too many dogs and cats are relinquished because of behavioral issues that were not dealt with effectively by their owners. Karyn has discovered numerous opportunities to be instrumental in the field of pet training through her own inventive solutions. A key way in which she measures her own success is by identifying needs and filling them. She found just such an opportunity on September 4, 1993. She was called to a client’s home to help with a 13-year-old male poodle that had been marking in the house his entire life. What Karyn discovered was that all of the traditional methods of managing a male dog that marks would not work here. This dog had containment phobia, which meant that restricting his area to a crate or a small room had even more grave consequences for the owner. The wife had given up on trying years ago, but it was her new husband who came up with the idea of calling a dog trainer. Karyn remembers the very moment that the new solution came to her. She was sitting at the customer’s kitchen table and asking the universe … “God, what am I supposed to tell these people?” … It was then that the idea flashed into her mind. In order to continue giving the dog the freedom to move around in the house, he would need to be diapered. Even this thirteen-year-old poodle was managed quickly and changed his troubling behavior after peeing in his diaper only three times. 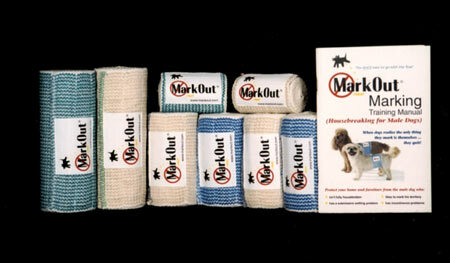 Karyn then went on to create the first professionally retailed diaper for male dogs, the MarkOut® Wrap, and wrote the training manual, MarkOut® Marking. 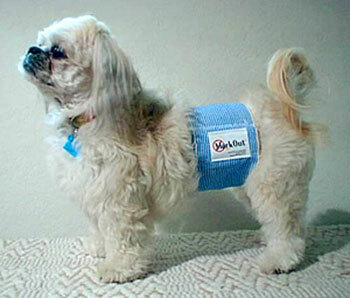 Today, diapering a dog is a well-known method in the dog training world. When pot-bellied pigs were all the rage in the 1990s, Karyn was inventive in running the world’s first pot-bellied pig obedience class. She was there to help those pet owners learn how to live harmoniously with their new pets. You can still view the documentary video by going to our videos page. 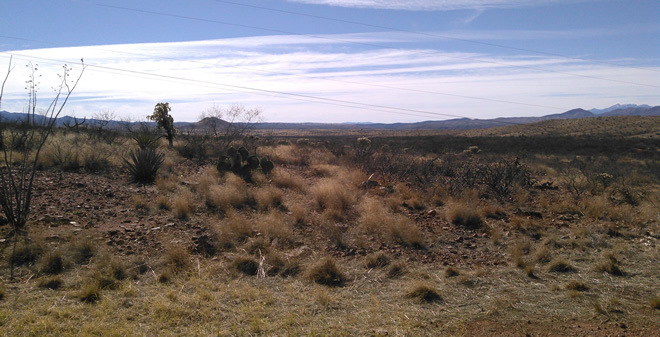 In 1998 she expanded her dog training business to include the Invisible Fence® Brand solution, and became a dealer for Southern Arizona. As she grew familiar with the standard training procedure for Invisible Fence® Brand dealers, she found a need for a better way of training. Once she had developed, tried and tested her new method of training dogs and cats, she shared it through the Invisible Fence® Brand network. They adopted the new method of training, now known as the Perfect Start™ Method and used by dealers across the United States. She was also fundamental in authoring the original, Perfect Start™ training manual. Soon after opening her Invisible Fence® Brand dealership she discovered another need. As a dealer, Karyn found that her business was servicing more “Houdini” dogs than she had ever encountered as a dog trainer. Owners, looking for solutions to keep their escape artists from breaking out of crates as well as jumping fences, often contact a pet containment business like the Invisible Fence® Brand for solutions. While a pet containment system can be part of the solution, dealers and dog owners still need to understand the condition thoroughly in order to manage the behavior. It was then that Karyn first coined the term “containment phobia” and created the distinction between containment phobia and separation anxiety. Her article was first published in the Invisible Fence® Brand Dog’s Life newsletter in 2003. It was later published in the International Association for Canine Professionals’ Safe Hands Journal and was an important advancement in the treatment for containment-phobic dogs. 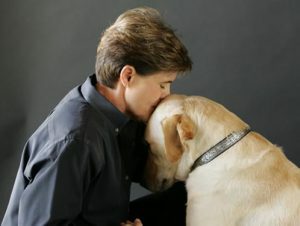 To this day, containment phobia is still the most misdiagnosed condition in the dog training and veterinary community. Karyn has created educational materials to help dog owners and other professionals understand the condition better. 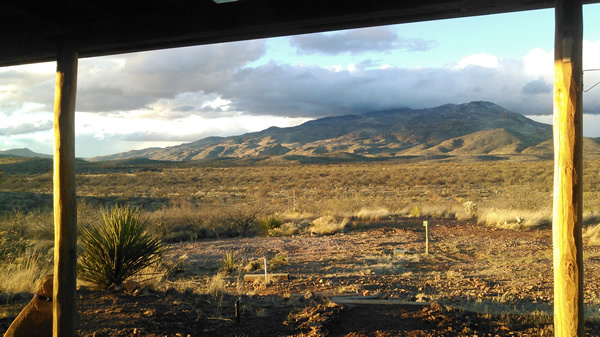 Karyn continued to grow her Tucson-based business. Garvin’s Pet Plaza represented an integrated group of businesses, each one offering unique solutions to create harmony between people and their pets. In January of 2013, it was her decision to downsize and focus on the dog training and product creation aspects of her business. 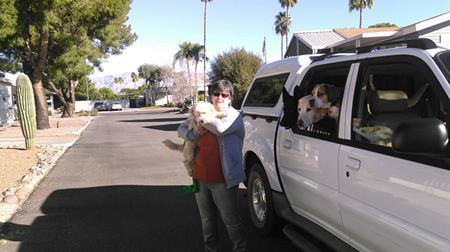 Barkin’ Garvin’s Dog Day Care was closed, and Garvin’s Pet Doors now has a new owner and a new name: Tucson Dog Doors. Garvin’s “Divine Dog” Training became the new official name of her new dog training business in January of 2013. “Divine Dog” Training is not just a business name. It is a spiritually based approach that acknowledges the fact that the dog is our kindred spirit and probably God’s finest example of unconditional love. Once again, all dog trainers teach through stories. Karyn’s stories encompass an integrated approach that includes spirituality, science, universal laws, nature and the natural order of life as we know it. 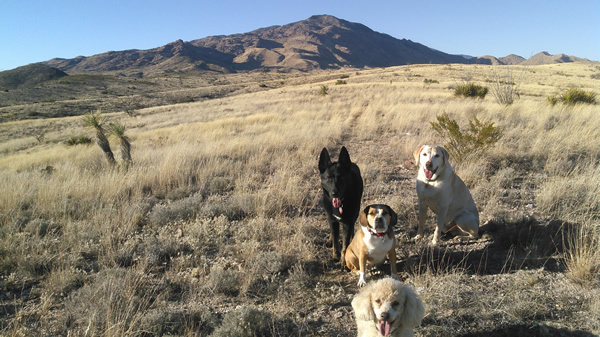 This transition has allowed Karyn to serve her local Tucson dog training clients with more focus, and gives her the freedom to reach out to a much larger audience with her upcoming book, her training products and her message of “Divine Dog” Training: Taking The Integrated Approach. In 2016, it became clear to me that my professional career needed to go in a new direction. I remember the first moment when I felt that little tapping on my shoulder saying, “Wake Up … you’re in for a Change.” It was during the month of April when I was teaching a group class at my training facility. All of a sudden, as I neared this class’s graduation, I got choked up. But what was I choked up about? This kept happening, and it happened in a few different classes. How strange!!! I could not even count how many classes I have graduated over my 39 years, and I had never felt choked up before. I asked myself, “What is this about? Why am I choked up?” Instantly I knew the answer. This feeling of being choked up is how it feels when you’re supposed to say goodbye. FEAR showed itself, and it argued with me for weeks. But I knew … I knew in that very first bizarre moment that this was a guttural knowing. And that no matter how scary, I knew I had to do the right thing if I wanted to continue to grow. So, it’s one thing to have a bizarre knowing, but it’s another thing to actually do something about it. Step 1: Set a date. On June 15th I took the first step and sent my landlord a letter that I would not be renewing my lease … after 18 years. Just sending that letter was a terrifying act of commitment. My lease was coming up on October 31st 2016, which gave me plenty of time to conclude business as usual. Step 2: Do everything else that you need to do to make it happen. There was an almost endless list of things to do. But the hardest thing, the thing that took the most courage, was saying goodbye to a period in my life that I loved. This included showing up day after day during the actual move, and being choked up about how hard it was to say goodbye to that building. 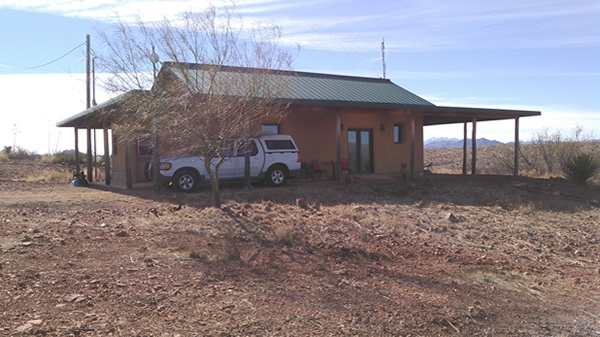 That building, which I took from being a very sterile, commercial environment, had become a home for my clients and their dogs. I loved that location … I had everything set up just the way I needed it in order to provide an amazing service to my clients. But through the tears, and through the loss of leaving what I have loved for the last 18 years, I never questioned what I knew inside. It was time to move on. And I also knew, that with this kind of a knowing where you follow your heart’s direction, everything would be okay. 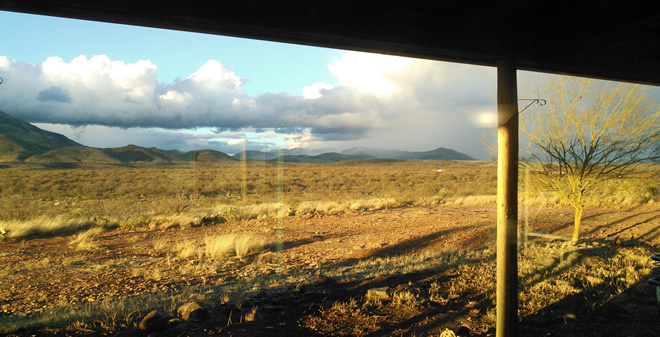 For me, writing from the heart requires taking the time for reflection in a secluded environment. You can’t get much more secluded than this. Since new clients can’t come to me, I go to them. There are many advantages to offering private lessons in the home environment. I love the change! Now, whenever appropriate, I bring my personal canine “group class” of one to four dogs to the owner’s home. 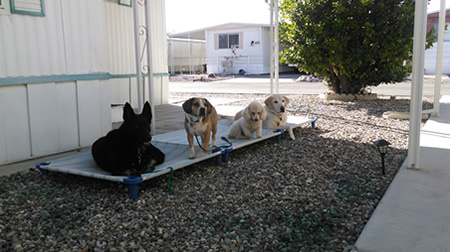 The dogs are from various sizes, ages and breeds, and are each useful depending on the dog owner’s needs, e.g., socialization, demonstrations, staged distractions and behavior modeling. 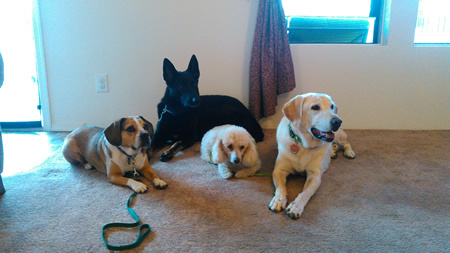 Most dogs benefit from a group experience as an addition to private sessions. I try to schedule all of my private sessions on Fridays, Saturdays and Sundays. I have such a strong faith … I think it’s about as strong as strong can be!